Many visitors to the Marseille region of Provence travel east far enough to explore the marvellous calanques along the coastline. 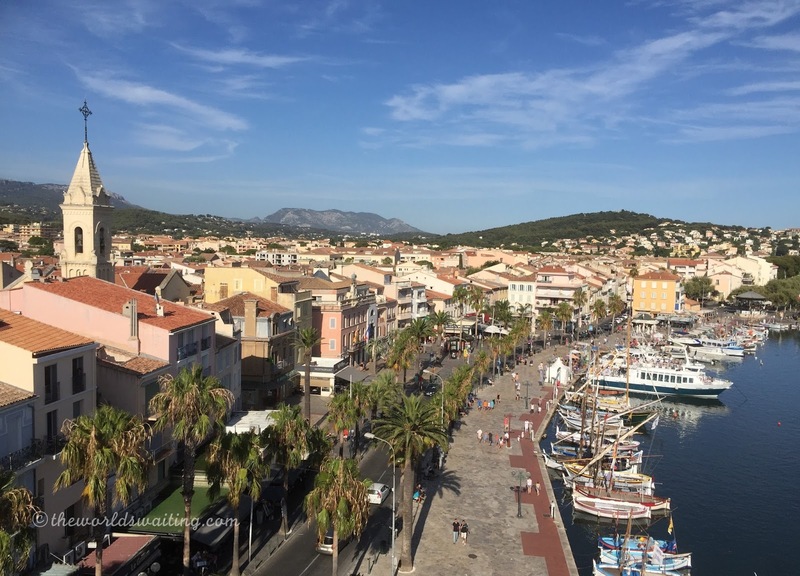 Some even make it far enough to appreciate Cassis and her charms, but those that travel just a short distance further east are rewarded with time spent in Sanary Sur Mer, which is far quieter than other more famous towns on the French Riviera, but just as pretty. 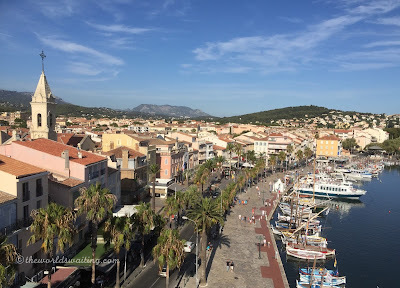 Sanary, as it is known locally, is a beautiful fishing port, without all the crowds. The town is near Toulon, about 75 km east of Marseille and 150km west of Nice. Sanary is a small town with a big history. The little fishing town was founded in 1688 but the settlement here dates back to the 1400s. Sanary is a typical example of the historic settlements along this part of the French Mediterranean coast. Having such a long history means Sanary has lots for visitors to see and do. Here are a few suggestions. Standing proud in the centre of the waterfront, and 21 metres tall, Sanary Tower dominates the local skyline. The tower was built around 1436, as part of the town's defence system. When this was deemed no longer necessary, during the 16th Century, the tower was used as a prison and store room. There are three levels within the tower, each displays historical information about the tower on the walls. There are also displays of antique artifacts found locally by divers. Visitors can climb up to the rooftop to admire the views across town and the bay. Claustrophobics may struggle with some of the narrow passages and low headroom on the staircases. It is fantastic to be able to explore a building this old. 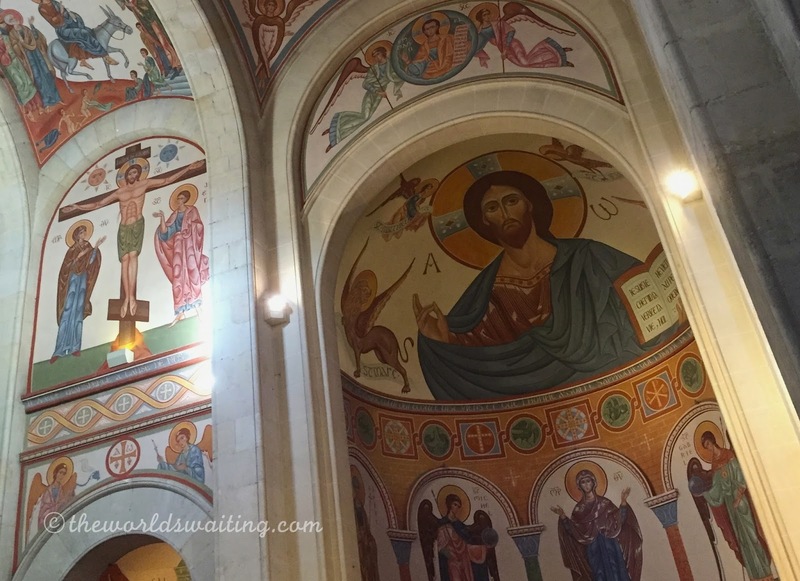 The church of Saint Nazaire was constructed in the late 19th Century and features fantastic frescos painted on just about every surface of the interior walls. Some of the artwork is of Byzantine origin, while other works are in the Christian orthodox style. Stepping into the unassuming and rather plain-looking church to discover these paintings is magnificent. If you enjoy visiting churches, there is an older chapel built on the west headland in the 16th Century that has a large number of votive offerings, and also offers visitors a splendid view across the bay of Sanary Sur Mer. 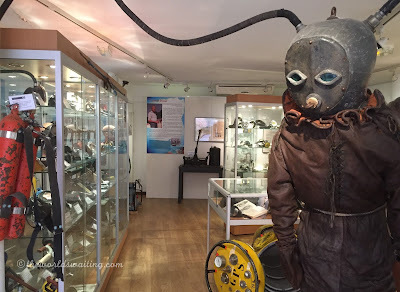 All divers should pay homage to the local pioneering divers that paved the way to make diving equipment what it is today. Those fascinated by the pastime and the underwater world will also enjoy a visit to the Museum of Diving in Sanary. While the museum only consists of one room, it is absolutely crammed with items to look at. There are buoyancy control devices, masks, wetsuits and cylinders of varying ages, as well as a selection of underwater cameras at various stages of development. There is also lots of information about local diving pioneers, including Frederic Dumas, Philippe Tailliez and Jacques Yves Cousteau. When Hitler took power in 1933, many German and Austrian intellectuals relocated to France. Sanary, which at that time was a small fishing village, became a meeting point for several famous artists and writers including Thomas Mann and Lion Feuchtwanger, giving Sanary the title ‘Secret capital of German literature.’ Commemorative plaques are displayed around town at cafes the intellectuals frequented, villas they stayed in, and other buildings of note. A brochure featuring a map of the locations is available from the Tourist Office. The maze of streets leading back a few blocks from the waterfront, mostly between the tourist office and the tower make up Sanary’s old town. Today the cobbled and uneven streets, among buildings painted in pastel colours with pretty shutters, are lined with cafes and shops but as you wander it is easy to imagine the same streets years ago. Tourist boats moor alongside the local fishing boats these days, and evening markets are held on the quayside during summer. Continuing the town’s association with writers, there is an author’s square, just back from the quayside, where local authors sign and sell books they have written. Historic Sanary has lots to keep visitors entertained. Whether your interest is literary of underwater, there is something for everyone.